Red Dead Online‘s beta recently went live and it didn’t take players long to discover that its economy is in shambles. Salient features include: food items like baked beans costing more than gold rings, and weapons that cost $35 in 1899 priced at an in-game $1,000. The latter wouldn’t be an issue if players weren’t being rewarded with a few dollars at a time for partaking in activities. Players have noticed that Red Dead Online‘s payouts are approximately one tenth of what they can earn in the single-player mode, which means that they have to excessively grind to purchase basic items. Eurogamer points out that gold rings can be sold for $1.10 in the game. A can of baked beans costs $1.20, and a can of kidney beans costs $1.50. 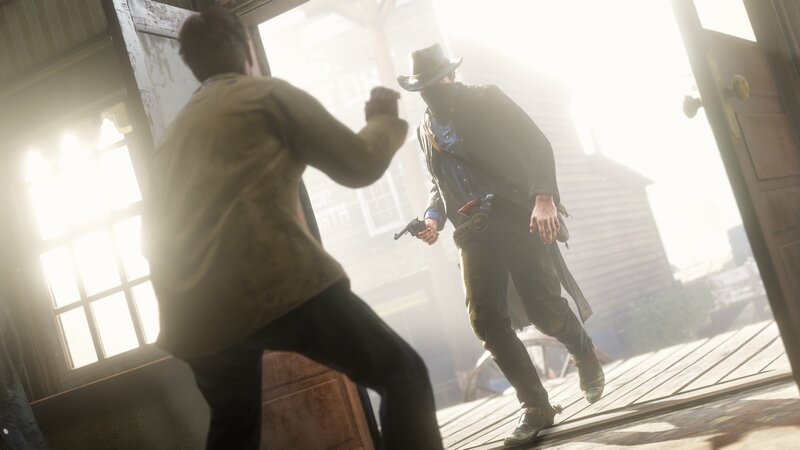 Over on Reddit, players have pointed out that customizing one’s starter pistol to all black costs 12 gold bars (Red Dead Online‘s premium currency). It takes approximately eight hours to earn a single gold bar. You do the math. What’s particularly irking players is that Red Dead Online requires quite a bit of investment to maintain their characters, their horse, and their weapons, which is a requirement for performing well. With miserly payouts, players barely have enough for self-maintenance let alone anything else. Rockstar has already said that it’ll be looking into player feedback during the beta phase. However, as many have pointed out, the economy needs an overhaul as opposed to minor changes.